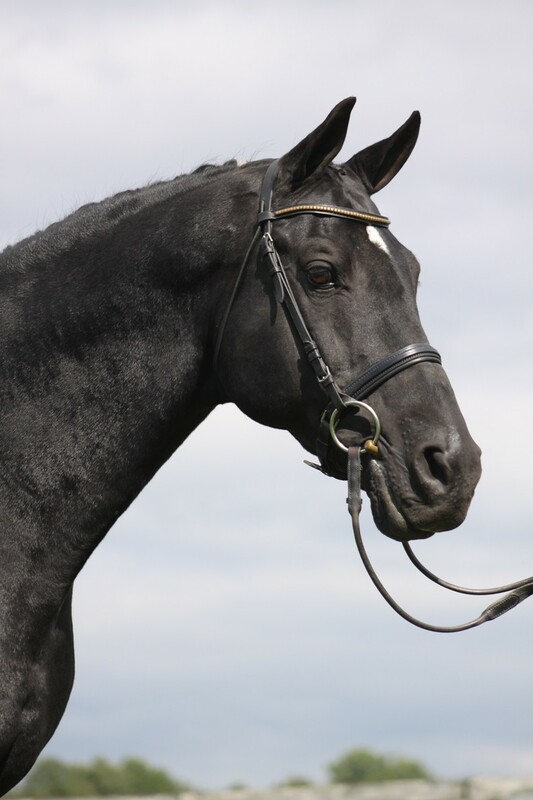 Laroche VDL is a 16.2H black Approved KWPN stallion imported from the famous VDL Stud in Holland (www.vdlstud.nl). His sire is the preferent stallion Concorde (Voltaire) and his dam-sire is Nimmerdor -- "Stallion of the Century". Laroche stood at Hilltop Farm through 2013. 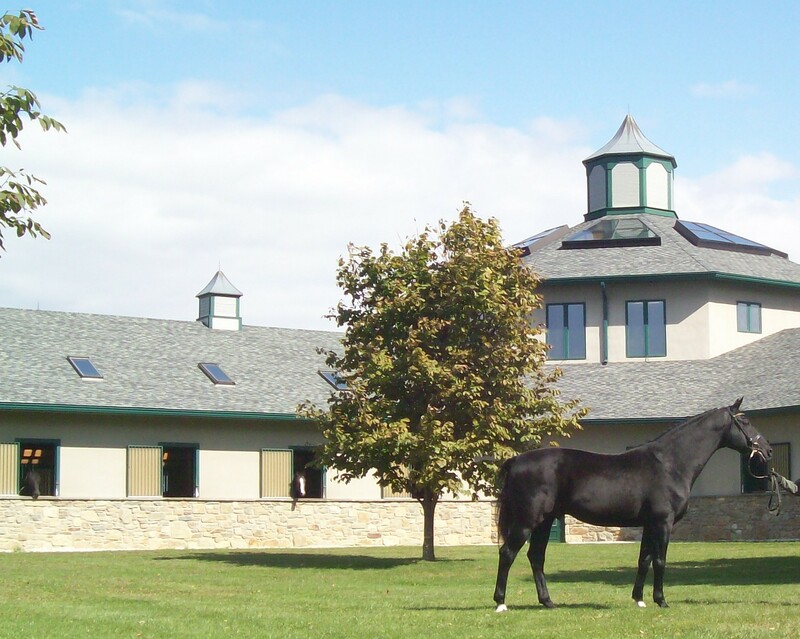 In 2014, Laroche will offered for breeding by his owner Sharon Anderson at Maple Crest Sport Horses. This Grand Prix showjumping stallion Laroche was owned by the presitigous VDL Stud early in career, this KWPN approved stallion finished 4th in the jumping portion of his Stallion Test. Laroche was described at his testing as an ‘honest stallion with a big, powerful, well-carried canter… Laroche has more than enough talent for jumping and gives his rider a good feeling.’ Laroche next won the KWPN Stallion Jumping Competition at Den Bosch, Holland. With Angelique Hoorn, Laroche had a successful international Grand Prix career in Europe before being purchased for Frankie Chesler in Canada. With a long career throughout Europe and North America, Laroche’s accomplishments follow those of his successful ancestors. 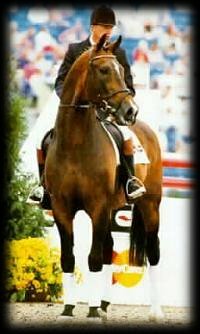 His sire Olympic Concorde competed internationally under Jos Lansink for many years with excellent results. Concorde was selected as the KWPN Hor se of the Year in 2004 and was the youngest stallion to ever be awarded the Preferent title. Laroche’s dam is the Keur Preferent Prestatie mare Bernadette, by the legendary Nimmerdor. 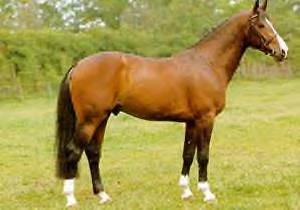 Nimmerdor too was an international showjumper of great quality. He sired 18 approved sons, including Ahorn, Goodtimes, and Heartbreaker. 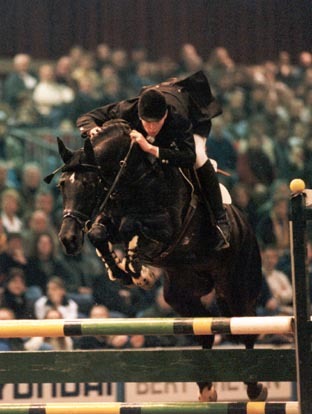 In 2000 Nimmerdor was elected “the stallion of the 20th century” in the Netherlands. Of unique interest in Laroche’s pedigree is the Trakehnher stallion Marco Polo whose influence is felt in both his sire and dam. The jumping ability and good character which he passed was apparent early on. 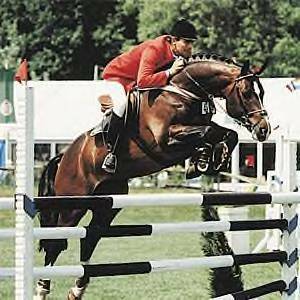 Polo Boy, Vivaldi, Pybalia, and Marius (sire of Milton) were all international showjumping stars of the early 1980’s that descend from Marco Polo. Laroche's damline extends back to the famed Sina line that has also produced MacKinley, Cavalier, and Modesto. Laroche is a well-regarded stallion in Europe and has already produced a number of exceptional offspring including six Ster mares, two Keur mares, and one licensed stallion. His offspring have proven very successful as showjumpers and his European-based offspring have earned him a KWPN jumping index of 149, which ranked him 8th of all KWPN stallions with offspring aged 10 or older. The Swedish mare Pjalgary VDL, Rudi, and VDL Groep Saffier all appear on the 2008 FEI Ranking List for Jumping Horses. 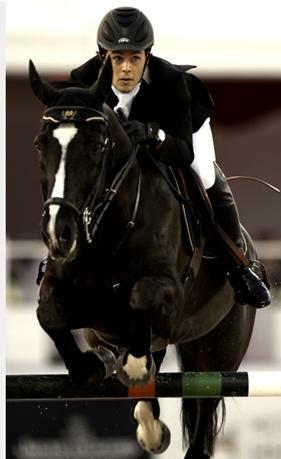 Sirius (see photo) is another example of a winning Grand Prix showjumper offspring of Laroche. Mr. President and Bugatti are winning in the jumper ring in the US for Laroche. The youngest of the North American Laroche offspring are doing exceptionally well at their Keurings. In 2011, Gracerusa CBF was Reserve Champion Jumper-bred weanling and Dartmouth Ster Q was Reserve Champion Jumper-bred gelding for all of North America. Laroche offers a kind and respectful character and is an easy stallion to live with on a daily basis. He has good bone with well-developed feet, a kind eye, and a strong hindquarter with a particularly good canter. Laroche is an excellent choice for breeders looking to improve jumping ability. VDL Laroche's sire is "Olympic Concorde". 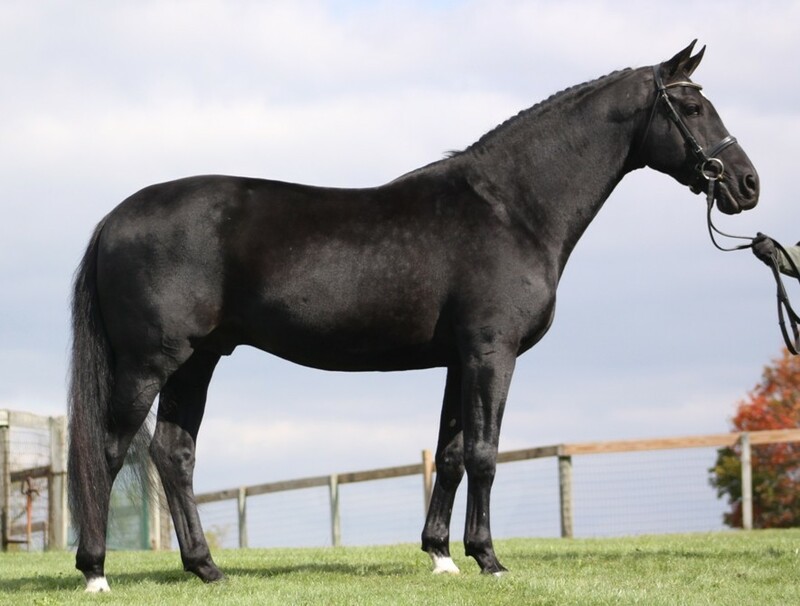 Concorde was the youngest stallion ever to be awarded the Preferent predicate, due to his endless list of national and international offspring. In 2004, Concorde was elected Horse of the Year in 2004 and is the highest ranked KWPN stallion in the top ten of the WBFSH. The Preferent stallion Nimmerdor is the founder from the VDL Stud. After an international career as a jumphorse, Nimmerdor got a big influence on the national and international breeding. He still has a great influence with his 18 KWPN approved sons, as there are Ahorn, Wellington, Goodtimes, Heartbreaker; and his 39 approved KWPN grandsons, as there are Emilion, Farrington, Glennridge, Kalusha, Londontimes, Matterhorn, Ohorn, Pacific, Radisson and Sydney. Across the whole world Nimmerdor has more than 40 approved stallions. Next to it Nimmerdor brought many national and international jumping horses. Thanks to his performance and the performances of his offspring Nimmerdor became the predicate “Preferent”. As a reward to his enormous work he was honoured “stallion of the century” in the year 2000.